Negate the threat of tomato blight on your plants this year. If your garden has been affected by tomato blight in previous years, do not attempt to reuse those seeds and/or plants in your garden again, as they may still carry the fungus that can harm your garden. Your best option is to start with fresh seeds or fresh plants that are healthy and clean. If you are purchasing tomato plants, be sure you can trust your garden expert to provide healthy, uncontaminated plants. 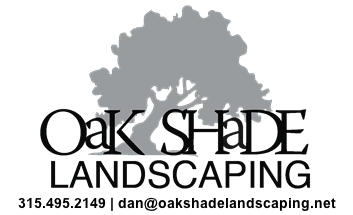 Blight can continue to grow throughout the winter, in your garden’s soil. Be sure to thoroughly till your garden and remove ALL leftover potatoes from your garden, as these are the number one carriers of tomato blight year after year. 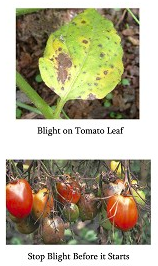 Because tomato blight is a fungus, it is critical not to overwater your plants. Tomato varieties differ in their need for water so be sure you are familiar with how much water to give your plants. Healthy tomato plants, with proper soil nutrition and adequate grooming (trim leaves close to the ground) are sure to prosper and remain unaffected by tomato blight this year. Yet, if you’re still concerned about your tomato plants, we recommend a gentle and safe fungicide that can be sprayed on your plants once every 7-10 days. It is important to understand that fungicide can ONLY be used as a preventative measure. Once your tomato plants are affected by tomato blight, it is too late. Prevent any threat of tomato blight this year, and enjoy a garden full of healthy and fresh tomatoes.